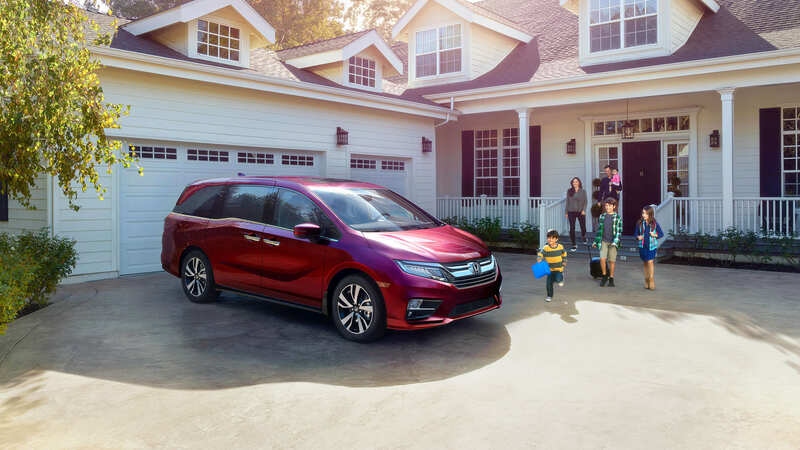 Dow Honda | 2019 Honda Vehicles | The 2019 Odyssey is here! The 2019 Odyssey is here! The 2019 Odyssey is now available at Dow Honda! Visit us to try out this tech-filled, family hauler! The 2019 Odyssey comes in the LX, EX, EX-RES, EX-L Navi, and Touring trim levels. It has six different colour options: Modern Steel Metallic, Crystal Black Pearl, White Diamond Pearl, Deep Scarlet Pearl, Forest Mist Metallic, Lunar Silver Metallic, and Obsidian Blue Pearl. All trim levels are powered by a 3.5L, 24-valve, SOHC, i-VTEC, V6 engine with a 9 or 10 speed automatic transmission. 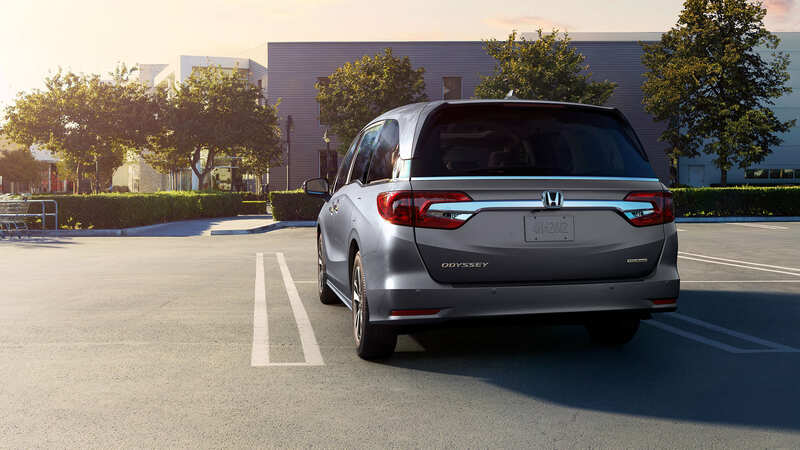 The 2019 Odyssey is jam-packed with Honda’s best technology. Standard features include a multi-angle rearview camera, proximity key entry with pushbutton start, Magic Slide 2nd Row Seats, Apple CarPlay, and Android Auto. 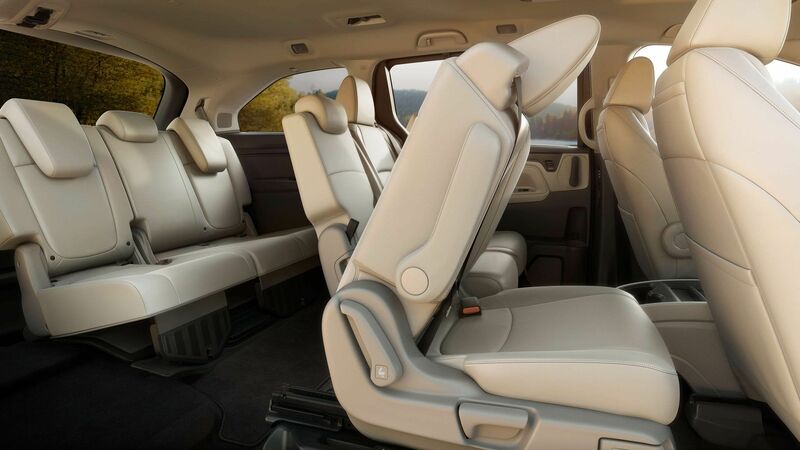 The Honda Sensing package is also a standard feature on all 2019 Odyssey models! This package includes features like Forward Collision Warning, Lane Departure Warning, the Collision Mitigation Braking System, and more! As you go through the trim levels, you will find technology like CabinTalk, CabinWatch, wireless charging, a power tailgate, and a rear entertainment system with a Blu-ray player! If you have any questions about the 2019 Odyssey, click here to contact us! Want to learn more about our 2019 Honda? Click here to learn about the 2019 Insight! Click here to learn about the 2019 Ridgeline! Click here to learn about the 2019 Pilot Black Edition!